Traveling further from Loughborough, we visited York. 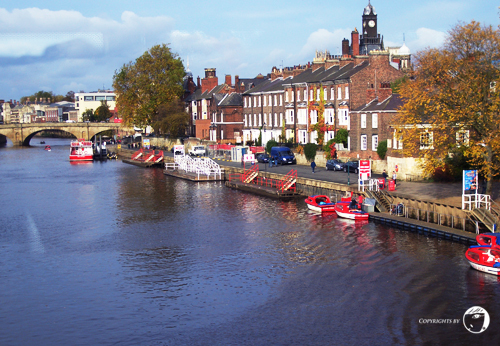 Different from every cities that I have visited, York was run across by River Ouse and Foss. York had a beautiful scenery, mixed of city lifestyle and heritage. Last time, the city was a river port and the the Ouse was used by barges to carry freight. But nowadays, it’s also used as a tourist attraction for those who wanted to tour the city by river tour. Taking bus to the city centre, we passed by the Clifford’s Tower. However, we did not stop at any heritage spots that day. We also passed by the bridge and had a glance view of the Ouse. The red boats at the side of the river were meant for chartering purposes. 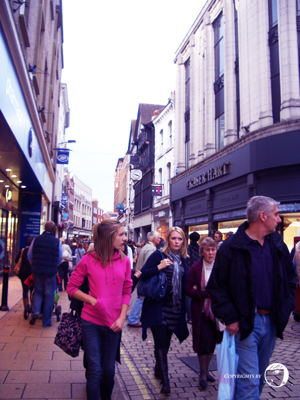 And this is how the York shopping area looked like. A bit similar like Oxford Street in London, but smaller. The shopping area was crowded with locals too, especially during weekends.